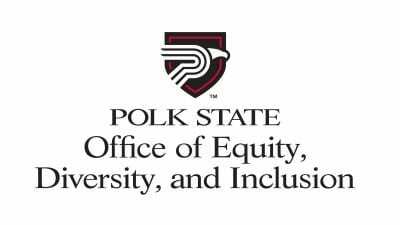 Open to all Polk State faculty and staff. Watch your e-mail for details about each session. Feel free to bring a lunch to sessions scheduled during lunch hours. The number of student veterans on college campuses continues to increase. In this session, faculty will learn about the unique needs of student veterans and consider how to use best practices to support student veterans in the classroom. Attendees will also learn about the Post 9/11 GI Bill, misconceptions about student veterans, and current Polk State College initiatives and programs aimed at supporting veteran students. The workshop will highlight 8 best practice standards of the Quality Matters rubric. Dale and Beverly will share ideas as they tour you through their QM- certified online courses. Open dialogue for cleaning up your online courses will be encouraged. Prepare to learn about internships! Internships serve as the critical connection between what students learn in the classroom and how they will apply that knowledge in the workforce. During the session, you will learn how to develop and leverage industry connections to the benefit of your students. You will also learn how to prepare your students for internships, such as how to conduct resume reviews and interview preparation. Additionally, we will share best practices to effectively manage internships, such as dealing with unexpected situations and capturing lessons learned. The presentation will culminate with an internship strategy you can use to propel your students into meaningful careers after graduation! Do you want to design and deliver instruction based on how the human brain really learns? Join your colleagues to learn more about this brain-based instructional model. In this session, you will learn how to create engagement opportunities that capture students’ attention, allow students to think for themselves, and encourage students to learn from one another. The Four C’s Model: Connections, Concepts, Concrete Practice, Conclusion. Attend this session for a discussion geared to both extroverts and introverts! The common attributes of your more “I” students, and ways in which you can support them more fully in their learning will also be covered. Retention is a topic of interest for faculty, staff, and administration in higher education as it is a reflection of both student success and institutional effectiveness. Factors such as academic grades, parents’ level of education, and integration into the college community have been shown to contribute to retention. Research also supports the claim that early, intensive, and continuous interventions, especially outside the classroom, are influential in keeping students enrolled in college. What can faculty do to increase these student interactions? In this presentation, the discussion will center on techniques for encouraging your students to not only engage in these one-on-one opportunities throughout the semester but also walk away from the conversation with meaningful suggestions for improving their performance in your class. The Instructional Technology Department offers a variety of training for faculty and staff. The trainings are offered face to face in the Lakeland TLIC (LLC 2269) and Winter Haven TLIC (Modular 2). Please note that we specialize in “just in time” training. The dates/times may not work well for you or your department; therefore, please contact your campus instructional technologist to find a date/time that will work for you.